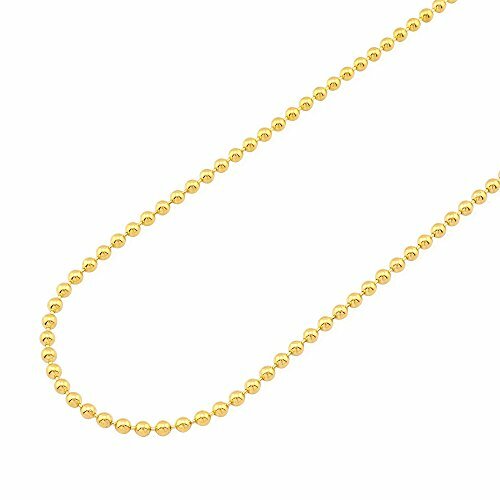 This ball beaded chain is hand crafted in professionally polished 14k solid yellow gold. The necklace measures 3 mm in width, from 22 to 30 inches in length and is safely secured with lobster clasp lock. This piece can become an elegant addition to any assembly.